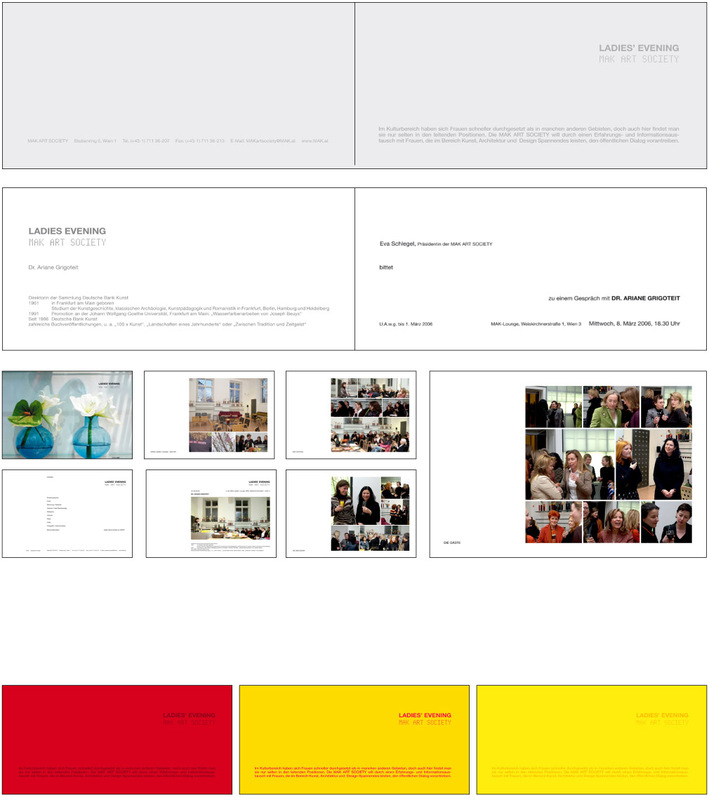 Concept and production of invitationcards for the mak art society (mars). The evening lectures ‘ladies’ evening’ are also dokumented in a small booklet. The cards shall always be designed in one colour (light colour for the background darker for the text) referring to the theme or person holding the lecture..